The famous ‘Christmas Concert’, traditional Christmas music show now in its 23rd edition was held on December 12, it in the Auditorium Conciliazione in Rome. 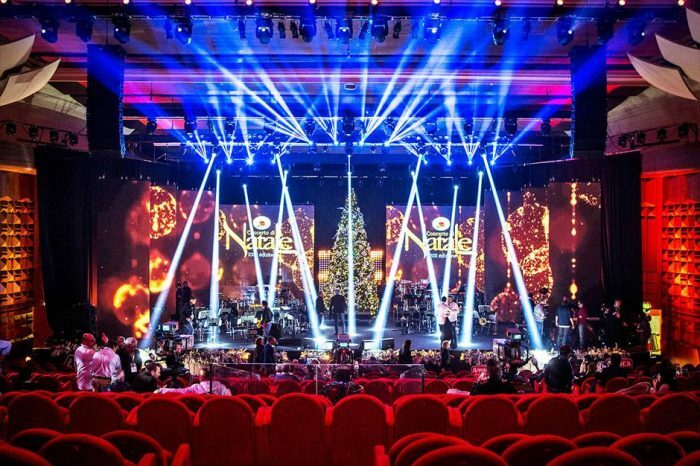 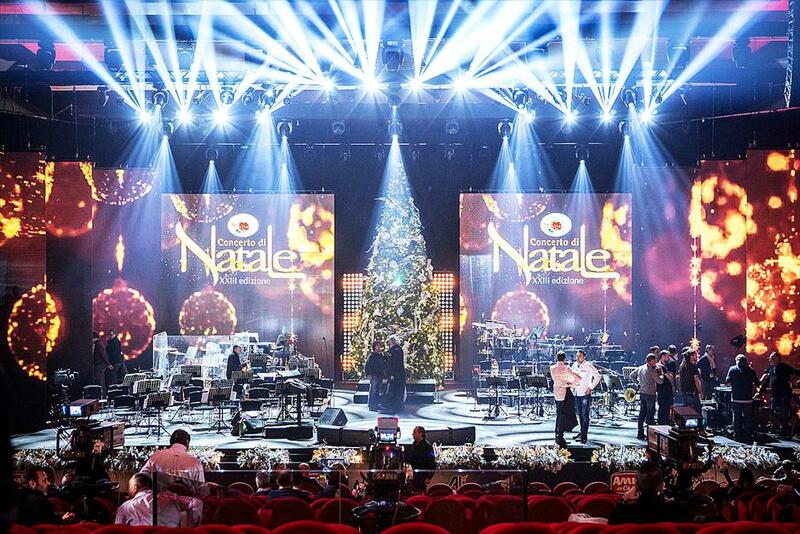 The event, broadcast on ‘Channel 5’, was a choral and artistic celebration of Christmas, which gathered on the same stage a remarkable all-star cast, including Anastacia, Lola Ponce, Angelique Kidjo, Riccardo Cocciante, Gigi D’Alessio, Nek, The Kolors, and Dear Jack, accompanied by the Italian Rhythmic Symphonic Orchestra. The Christmas Concert, created in 1993, confirmed again this year to be a show capable of transmitting unique emotions. 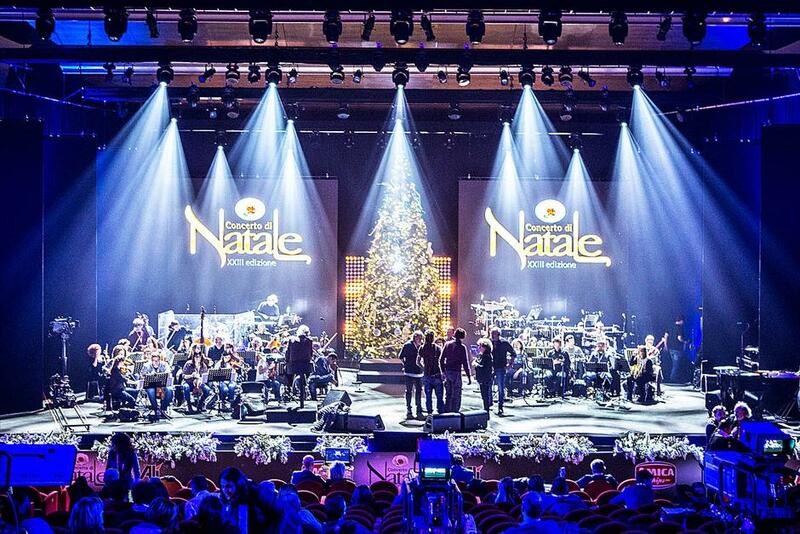 The event, in fact, gathers together artists from different countries, cultures, and religion, who sing and interpret Christmas, each in its own style and genre of music. The charm of the Christmas concert is given not only by the high level of the artists who perform in the event, but above all by the opportunity to see them engaged in unusual ensembles, such as the outstanding trio including Anastacia, Riccardo Cocciante and Nek. 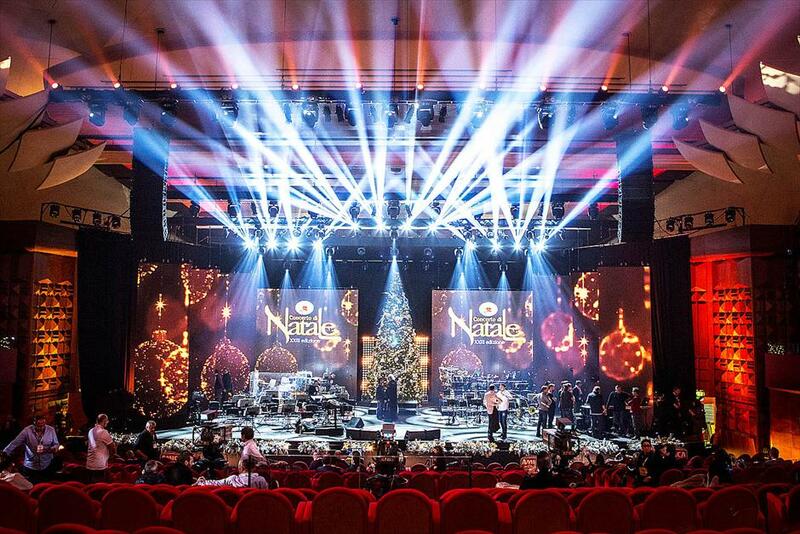 The new EVO moving head projectors, installed by Madema Italy, have made an important contribution to the success of the event. The EVO moving heads, compact, versatile and extremely luminous, have been used in a variety of roles: as a Spot backlight, as effects projectors, and as a Beam, transforming a ‘classic’, ‘institutional’ event in a true ‘live’ show.